Michael’s expertise is well recognized – within National Medical Billing Services and the ASC industry. He joined the company in 2006 as an Accounts Receivable Account Representative and quickly moved up in the AR department, serving as a supervisor and director. In his current role as Vice President of Operations, Michael works to implement Lean and Six Sigma principles across the company, looking for opportunities to cut waste and make existing systems and processes more efficient and effective. He also works directly with each of National Medical’s department heads to ensure that they are properly staffed to meet workload capacity. Michael is the “go-to” guy for trouble shooting within the revenue cycle. From 2009-2010, Michael served his country as a department of defense contractor in Iraq where he set up network communications for the United States Army. Michael holds A+ Certification, as well as his Lean Six Sigma Black Belt Certification from Villanova University in Villanova, Pennsylvania. Michael is a fish hobbyist. 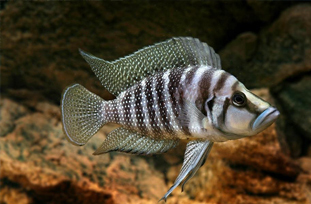 He currently owns two large fish tanks, and his favorite fish are African Cichlids. He also enjoys his two dogs – a Siberian Husky and a Chocolate Lab.